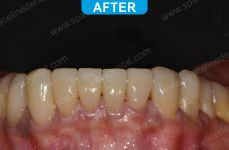 Smile designing done in combination with aesthetic crowns and composite restorations. 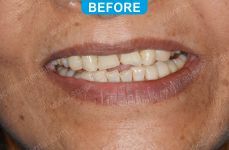 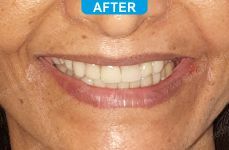 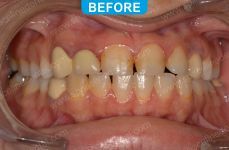 Smile designing done in combination with upper aesthetic crowns and lower dental laminates. 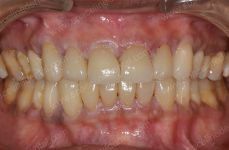 The bite of the patient was restore using on-lays on posterior teeth. 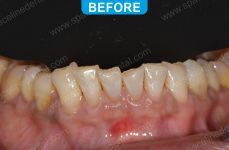 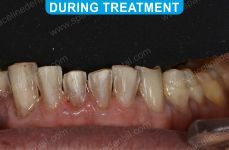 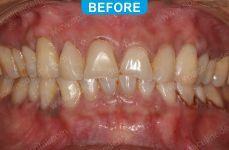 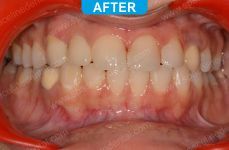 Worn out lower front teeth restored by giving aesthetic e.max dental laminates for the same.